Dorthy Jensine Thorup Mineer, 92, passed away from natural causes on April 27, 2015, in Washington, Utah. She was born on December 21, 1922, in Salt Lake City to Lawrence Samuel Thorup and Essie Casey Thorup. She married Kenneth Alma Mineer in Salt Lake City on June 12, 1942. Their marriage was later solemnized in the Salt Lake LDS Temple in 1966. Dorthy was raised in Salt Lake City at 2839 South 900 East. She attended South High School along with her future husband, Ken. She knew who Ken was at the time but didn’t like him because he and his sister, Francis, knocked her and her best friend, Barbara Green, down running through the “rolling barrels” at Lagoon. When Ken later asked her to dance at the Coconut Grove dance hall in Salt Lake she turned him down twice. When he asked her a third time she said yes just so he would leave her alone. She loved to dance and Ken was a good dancer. The rest is history. Just before Ken entered World War II they went on a week-long honeymoon to several national parks and up the coast of California. Dorthy kept a detailed log of every penny spent on food, gas, and motels. The total costs was $73.08. Dorthy and Ken moved to Bountiful, UT in 1949. They raised their family and lived there for 38 years until they retired to Santa Clara, UT in 1987. After living there for 18 years they moved to Washington, Utah. While living in Santa Clara Dorthy and Ken were able to travel to many beautiful places in the United States and around the world. 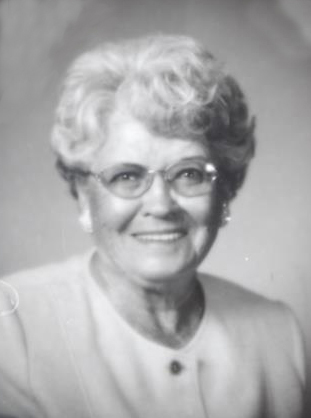 She was an active member in the LDS Church, especially the Boy Scout program where she loved teaching the young men. The many hikes and outdoor activities were her favorite activities. While living in Bountiful she worked many different jobs. One of the jobs she enjoyed most was as an executive secretary at the LDS Church office building. After her passion of being a mother and wife came gardening. She was a “master gardener” and everywhere she lived her yards were breathtakingly beautiful. She was a co-founder of the Dixie Garden Club in the St George area and loved the activities and the friends there who shared her passion. She is survived by her four children: Larry Mineer (Claire) of Washington, Utah, Judy Thornburg (Andy) of Avila Beach, California, David Mineer (Susan) of Parowan, Utah, and Randy Mineer (Janice) of Lolo, Montana. She is also survived by her sister, Bernice Blackburn of Santa Clara, Utah; brother-in-law, Rex Gibson of Bountiful, Utah; 18 grandchildren and 38 great grandchildren who all adored her. She is preceded in death by her husband, Kenneth; brother, Jack Thorup; sister, Donna Gibson; daughter-in-law, Kathy Cude Mineer; and grandson, Marc Kenneth Mineer. Funeral services will be held Monday, May 4, at 11 a.m. at the Metcalf Mortuary Chapel, 288 W. St. George Blvd., St. George. Visitations will be held Sunday from 6-8 p.m. and Monday from 10-10:45 a.m. prior to services at Metcalf Mortuary. Interment will be Tuesday, May 5, at 1 p.m. in the Bountiful City Cemetery, Bountiful, Utah. Arrangements have been entrusted to the care of Metcalf Mortuary, 435-673-4221. For condolences, full obituary, and funeral listings the Metcalf Mortuary website. In lieu of flowers, donations may be made to the Dixie Garden Club, attn: Rhonda Bowcut, 435-674-2293, 2891 S. Rim Crest Drive, St George, Utah, 84790.